Xizang (Tibet): Jiangda (Gyamda) Xian. Pass and adjacent slopes at Aila Shan, on road from Jiangda (Gyamda) to Dêgê, Sichuan (highway 317). Kobresia meadows, dwarf Rhododendron-Salix scrub and stony scree slopes above pass. 31°38'0"N, 98°27'40"E; 4400-4600 m.
Kobresia meadow on slope. 4500-4600 m. Part of mixed collection. 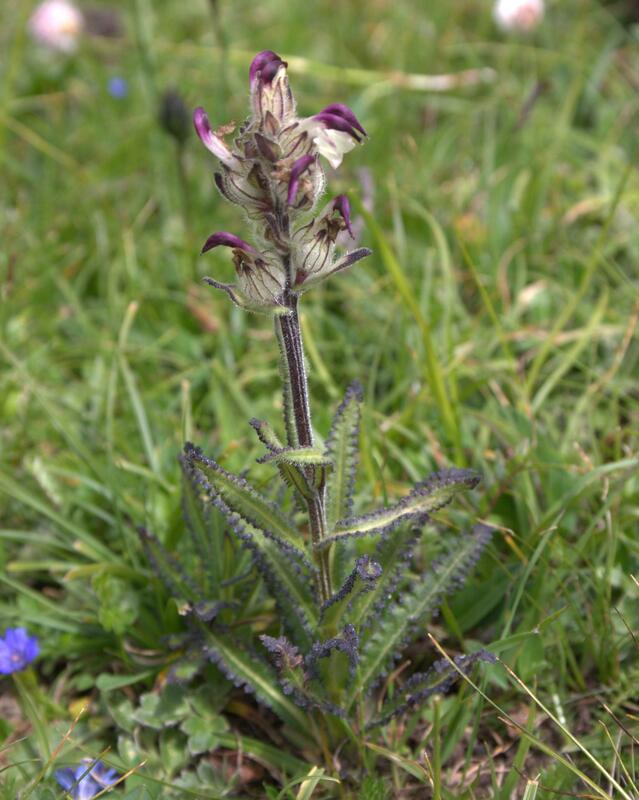 Determined as Pedicularis sphaerantha P. C. Tsoong by Wenbin YU, 9 Nov 2005.